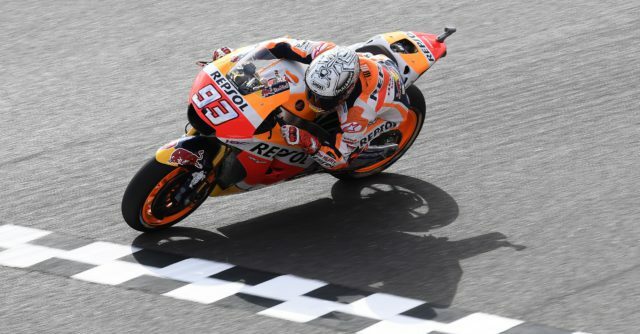 The World Champion in MotoGP Marc Marquez took the poleposition in Argentina for the fourth straight year at a damp Termas de Río Hondo. 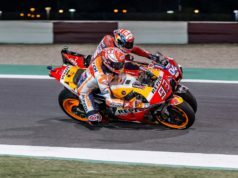 Marquez blitzed his rivals during the opening stages of the session, recording a lap a second clear of the opposition, as the circuit gradually dried, but remained sufficiently moist for wet tyres to remain in use. The Repsol Honda rider eventually worked his way down to a 1:47.512, which proved to be 0.763s clear of Karel Abraham (Aspar), who sprung a surprise by securing his maiden front row slot. 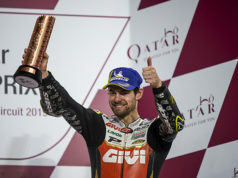 Cal Crutchlow in LCR Honda claimed third position, just 0.003s behind Abraham. While Pramac’s Danilo Petrucci finished fourth, in front of Dani Pedrosa, who safely negotiated his way through Q1. Championship leader Maverick Viñales was unable to convert his dry practice pace and took sixth. Yamaha team-mate Valentino Rossi was seventh. The Italian having secured the final Q2 slot. Aleix Espargaró delivered eighth place for Aprilia, in front of Avintia’s Loris Baz. Loris starred early on in Q2 before slipping back late on, and Aspar’s Álvaro Bautista. Jonas Folger was 11th for Tech 3, with Suzuki’s Andrea Iannone slowest in Q2 to wind up 12th. Ducati endured a miserable session. 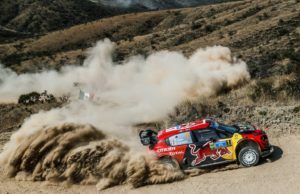 Neither of its riders made it through Q1, with Andrea Dovizioso shuffled down to 13th place during the closing stages. Jorge Lorenzo (Ducati) claimed only 16th. Thi was his worst grid spot since his rookie campaign in 2008. The pair split by Tech 3’s Johann Zarco and Pramac’s Scott Redding. Jack Miller (Marc VDS)was stranded in the pits during the final few minutes and took 17th. While KTM duo Pol Espargaró and Bradley Smith took advantage of the conditions to take 18th and 19th.